The Mystic cuff is made in two layers. 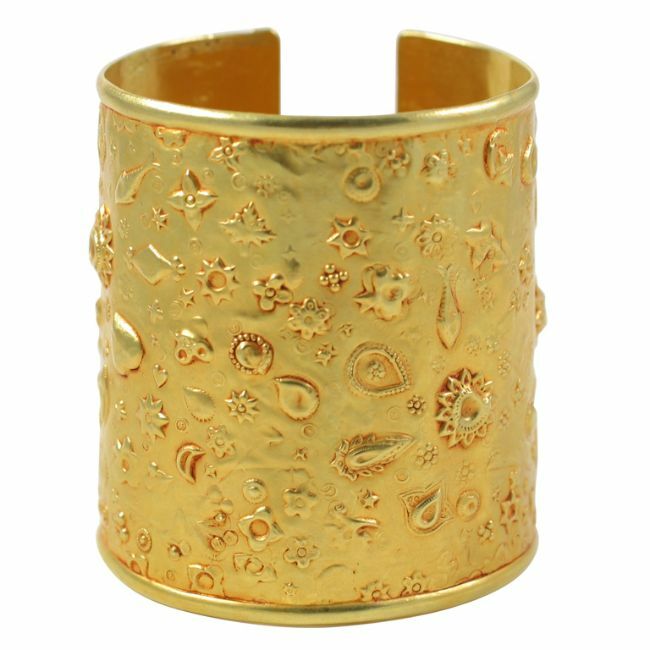 The outer 22kt yellow gold layer is decorated with whimsical objects that have either been pressed through the back or added on top by laser. The second layer, which is 18kt yellow gold, was fused to the back of the first sheet and then framed in an 18kt yellow gold border.